It’s October. 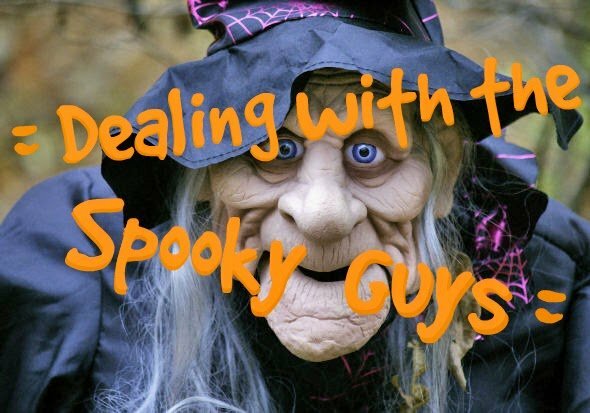 The month of “the spooky guys” is here, and like most young children my daughters can’t decide if they are titillated or terrified. They love Halloween, and they know that the decorations mean Halloween is coming, but some of the decorations we’ve been seeing lately are a little grim and over the top (hello dollar store, just because you can make realistic looking severed limbs doesn’t mean you should). My eldest has been particularly spooked out by any form of Halloween decorations this year. Colourful happy witches and smiling pumpkins can send her into a tizz, because to her they signal that worse things are near by. I am trying to convince here that when it comes to pieces of inert, if sometimes disgusting, plastic, there is nothing to fear. 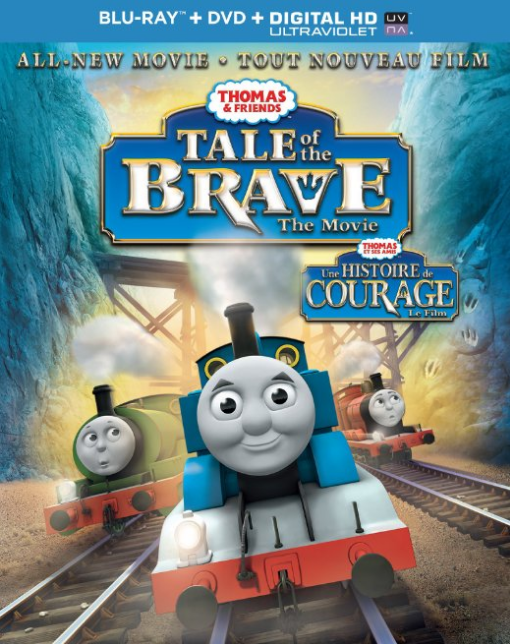 Two things have made a positive impression on her this season, the first was watching Thomas & Friends: Tale of the Brave. This film was a great launching point for conversations on fear and bravery. The basic plot outline is Thomas sees something spooky in the clay pit, but it gets covered over by a landslide before he can investigate. He tells his friend Percy about what he saw and Percy becomes convinced there is a monster on the island of Sodor. Percy is spooked. He is jumping at shadows and odd noises in the night. He eventually refuses to do his job pulling the mail train at night. His fear is contagious and makes the other trains nervous too. Of course they do eventually discover just what it was that Thomas saw in the clay pits and it all comes to a happy ending. The message is twofold: First, bravery doesn’t mean not being scared, it means continuing on even when you are scared. Second, and most important for my little one, our imagination can run away with us, spooky noises and shadowy “monsters” usually turn out to be harmless. It’s a cute film. Perfect for any Thomas lover, and particularly perfect for this Halloween-time season. 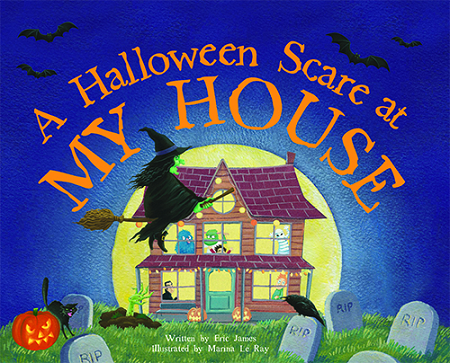 The other item which has had a positive influence on my girl is a book called A Halloween Scare at My House (written by Eric James and illustrated by Marina Del Ray, from Sourcebooks). This humorous and creative storybook is full of all manner of witches, ghouls and goblins. A young boy hides in his bedroom as his town, and even his own house, fills with monsters all out to celebrate Halloween. The silly ending reveals that to a monster a little human boy is the scariest thing of all. (ie, when it comes to terror, it’s all about perspective). 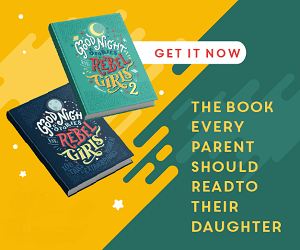 My girls found the book amusing, and it’s made my oldest feel a little less uncomfortable about “the spooky guys” hanging around in every shop we stop at this time of the year. Do your little ones cackle with glee or cringe in fright when they see happy Halloween decorations? What Halloween books or movies have had a positive impact on your kids?